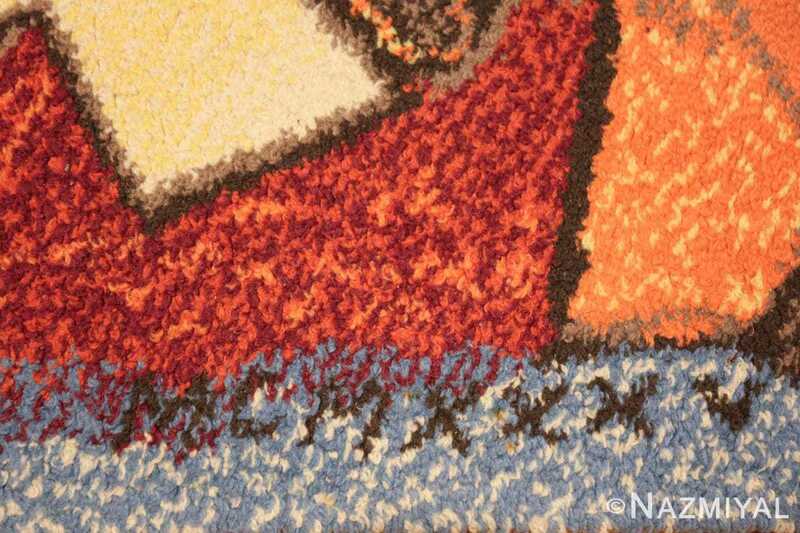 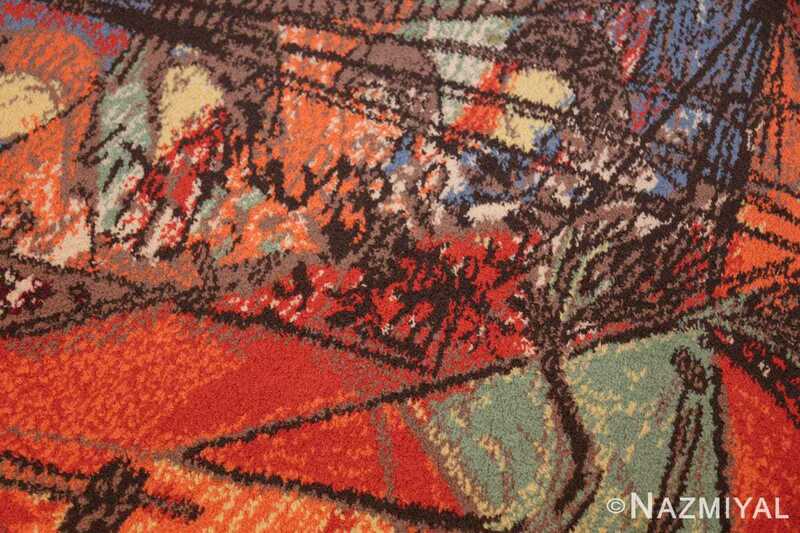 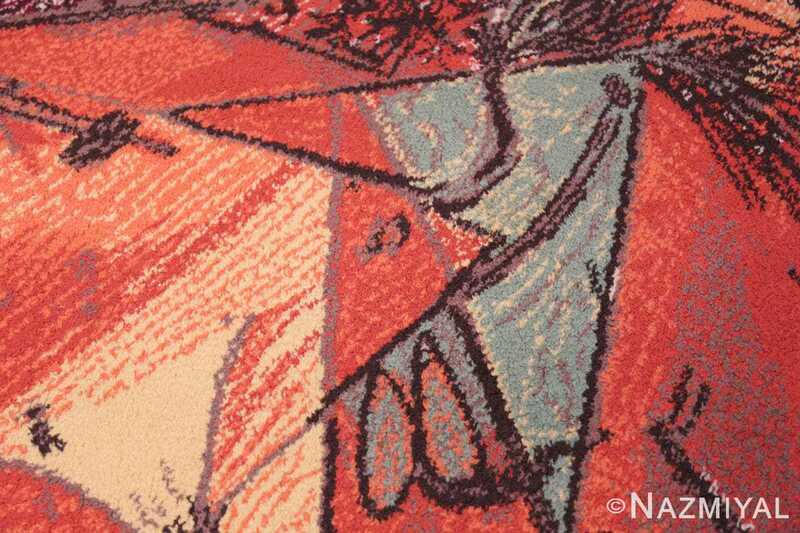 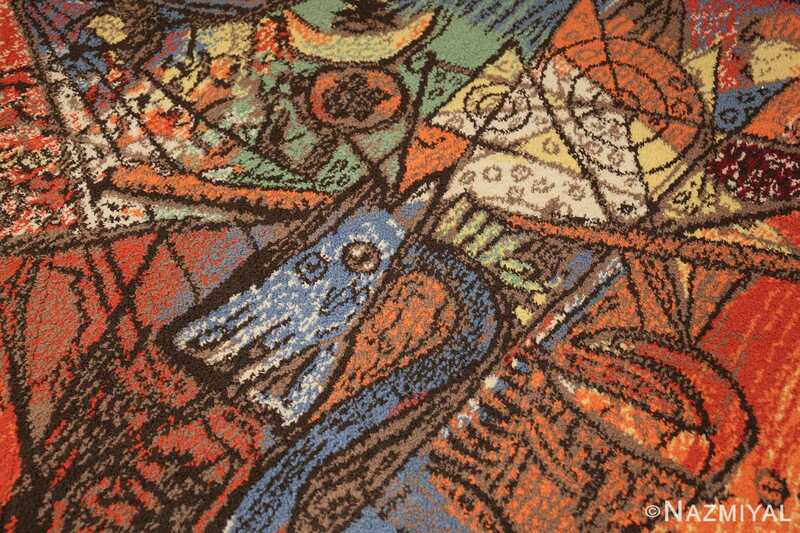 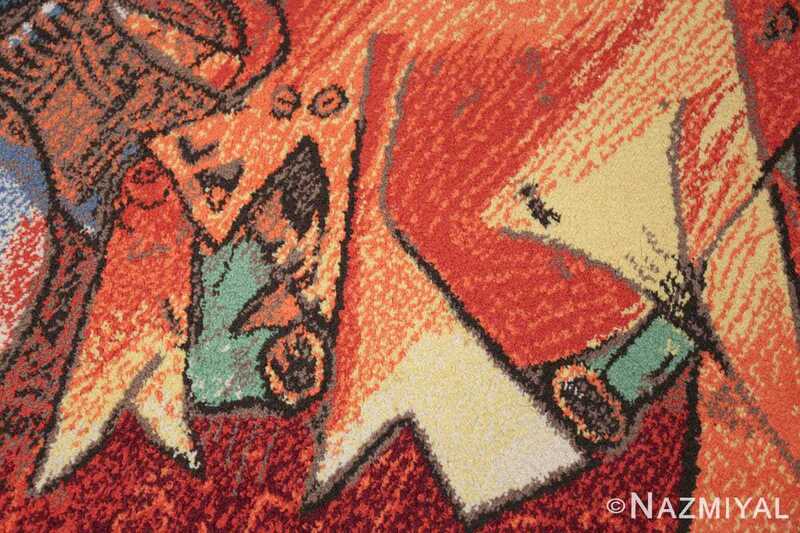 This remarkable carpet beautifully showcases Picasso’s immediately recognizable style, boasting a cubist design of the highest order. 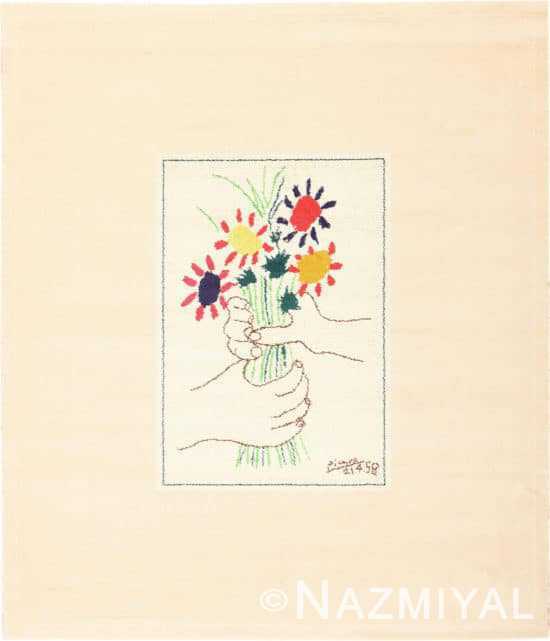 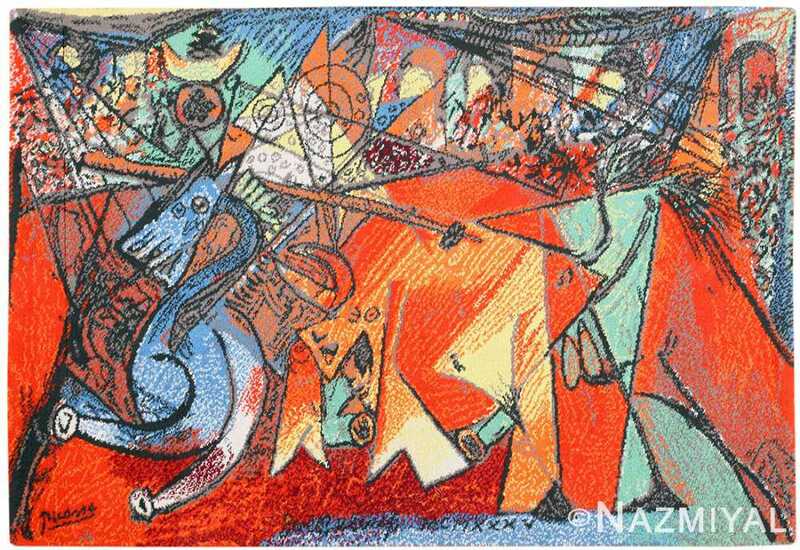 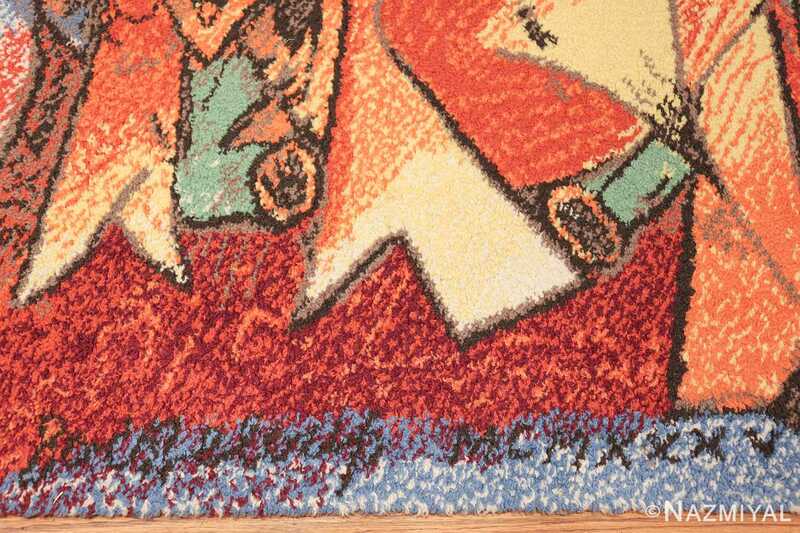 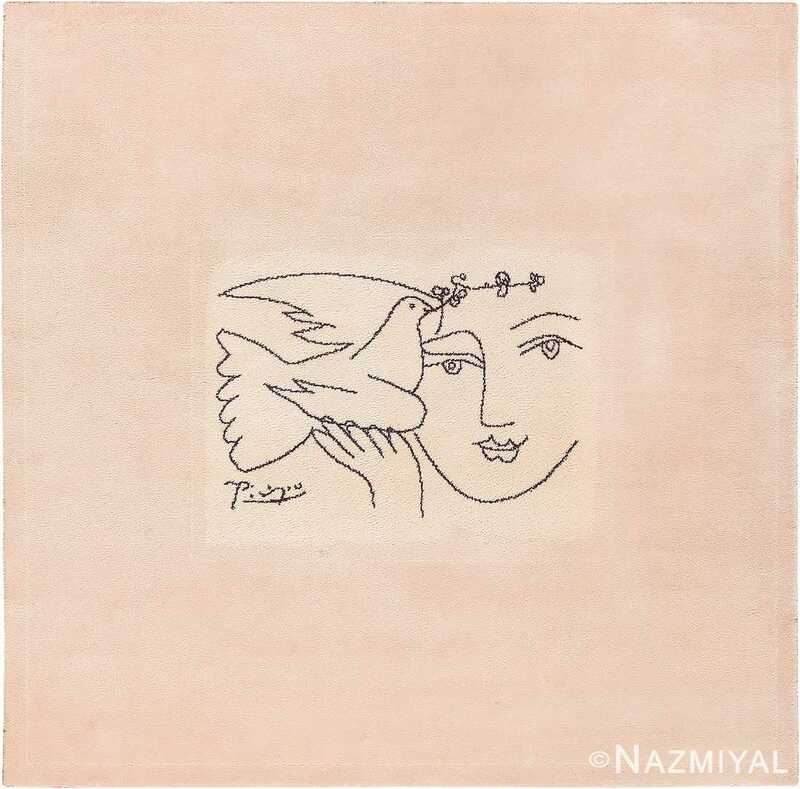 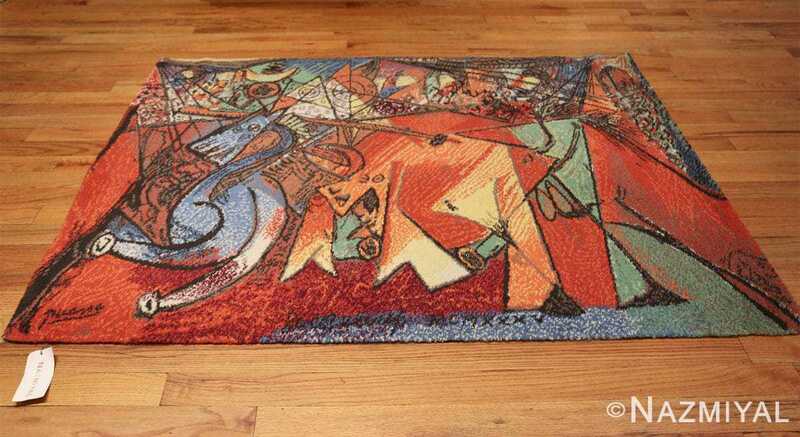 Vintage Pablo Picasso Rug by Ege Art Rug, Origin: Scandinavian Rugs, Circa Date: 1994 – This magnificent mid century vintage Ege art line rug features a composition designed by legendary artist Pablo Picasso. 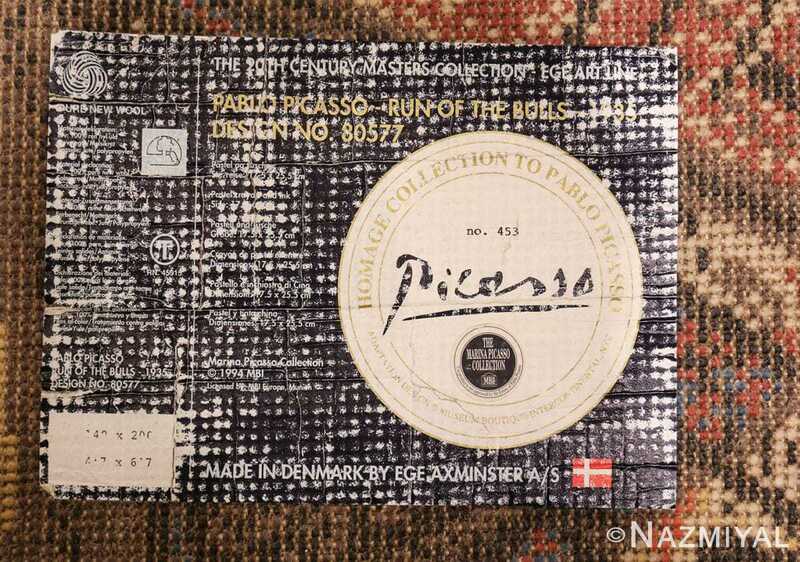 Undoubtedly, one of the all time most important and influential artists, it is almost impossible to overstate the wide-ranging impact that Picasso had on the world of art – and on the world in general. This remarkable Swedish rug beautifully showcases Picasso’s immediately recognizable style, boasting a cubist design of the highest order. 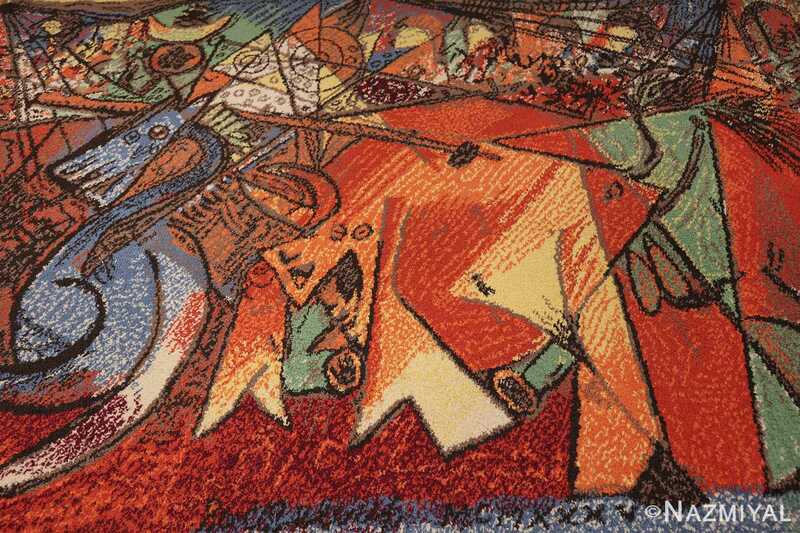 Cubism – a style that is synonymous with Picasso’s unique aesthetic – encapsulates mid-twentieth century trends in which the abstract is celebrated for the possibilities it offers. Here, a series of animal figures are assembled, each one rendered in Picasso’s distinct cubist style, wherein features and outlines are exaggerated. These parading animals are set against a vibrant red background that allows them to stand out brilliantly. 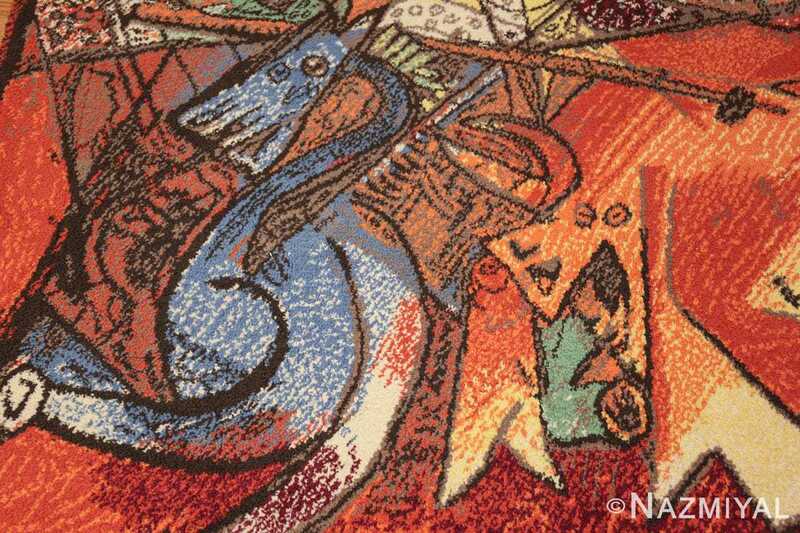 Above the animals, a complex swirl of abstract flourishes dances about, reminiscent of storm clouds but far less intimidating. 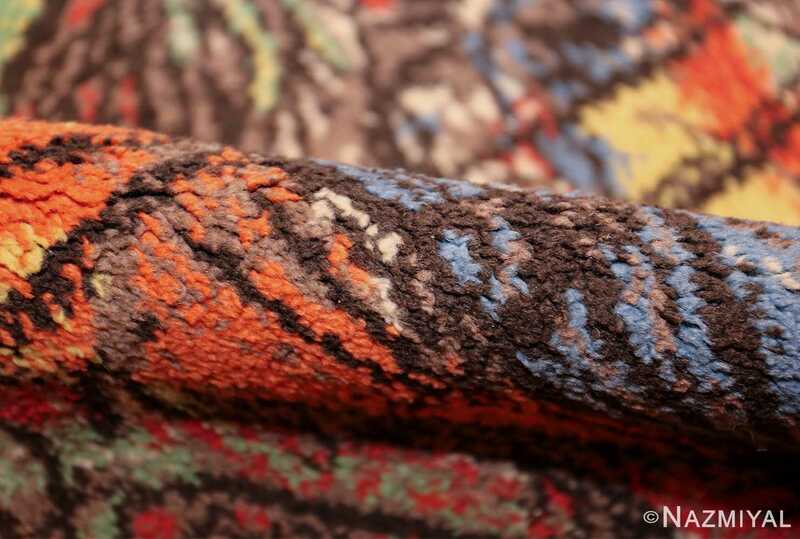 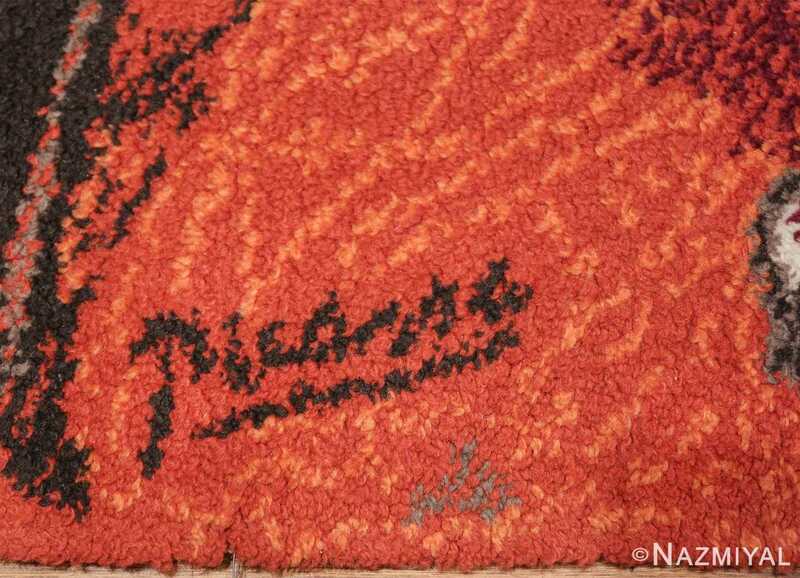 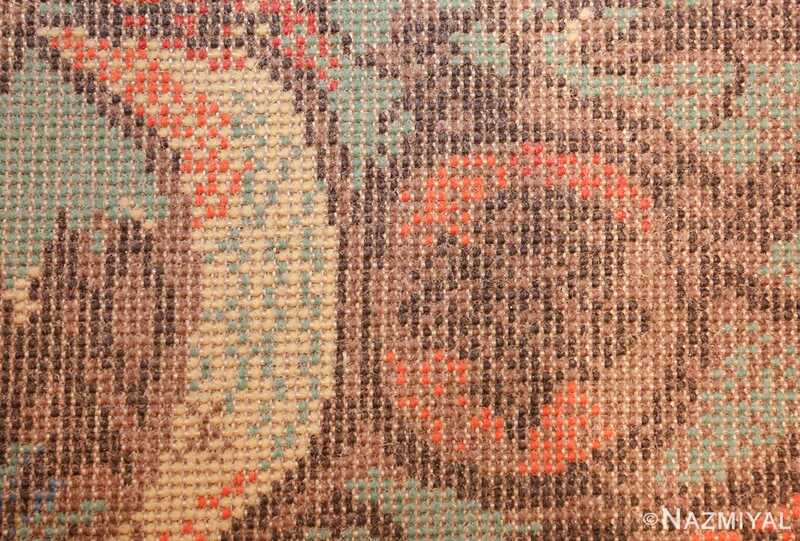 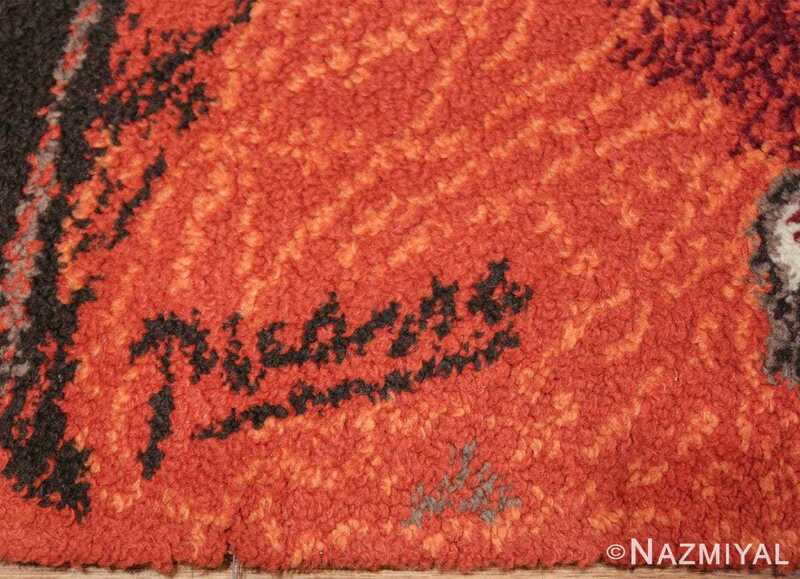 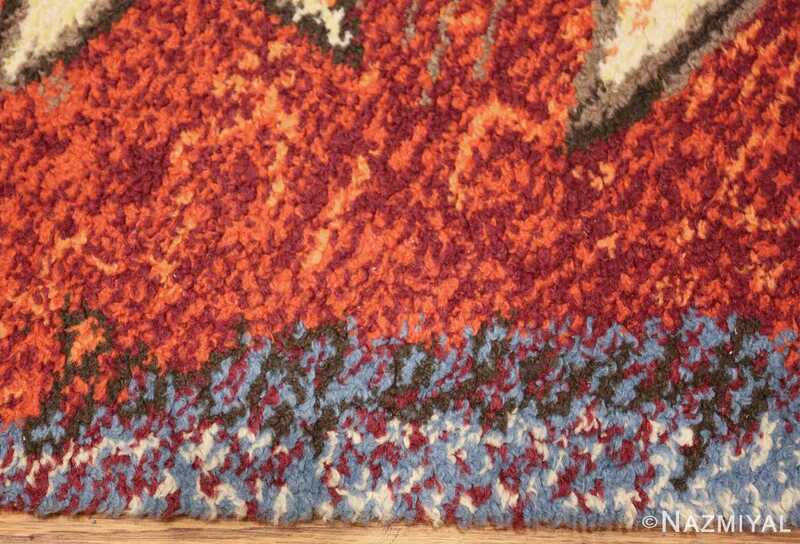 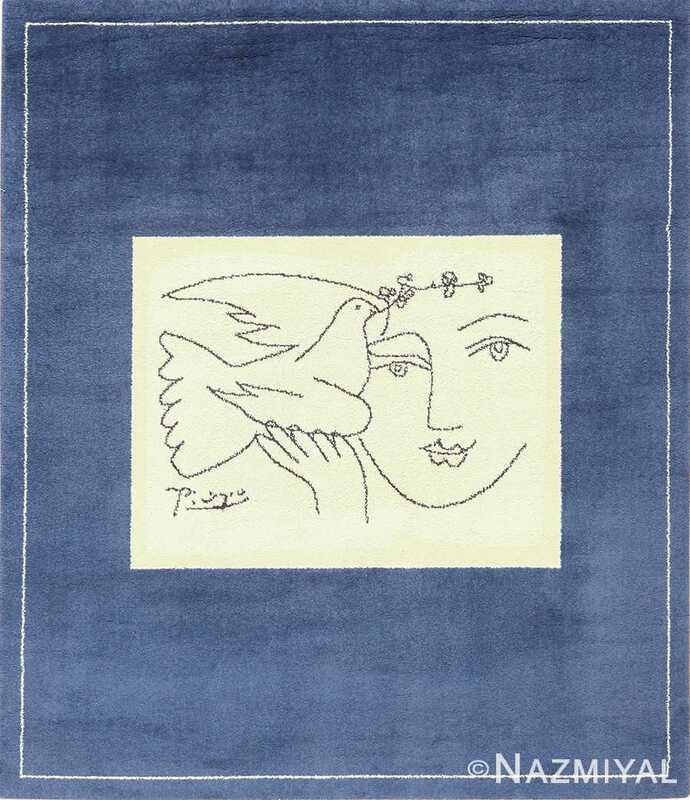 An exemplary work, this Picasso art rug is a truly wonderful vintage rug.